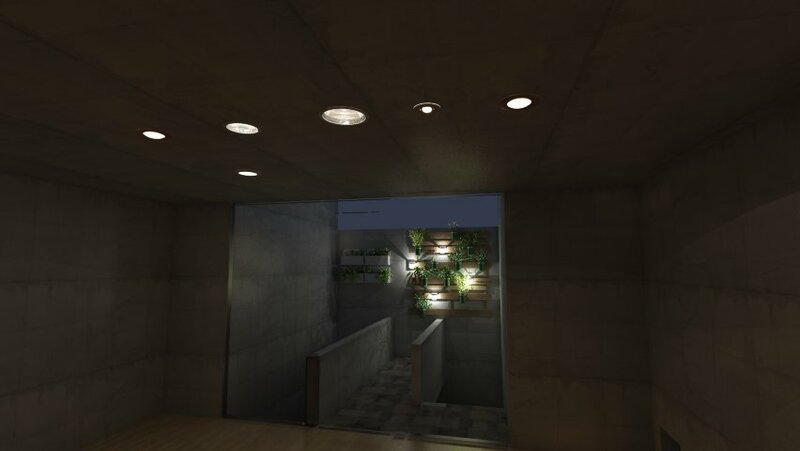 Most of the recessed lights from Podium Browser are SketchUp components with point lights or spot lights inside. The components use the option Cut Open and Glue - to either the horizontal (ceiling) or vertical (wall) planes. So when you insert the recessed light flush to the ceiling plane the ceiling face will be cut, exposing the entire "can". The exceptions are lights like Cooper Lights 270 and a few other which have their point lights located below the ceiling plane so there's no need to cut into the plane. And the point light will be hidden and will not appear in the rendered image. So make sure you open the ceiling group before inserting the recessed light. See 3rd attachment for successful use of recessed lights.